A rough back road barely travelled by tourists, brings the visitor to some scenic locations while exploring the landscape and waterways enroute to Kennedy Lake and beyond. 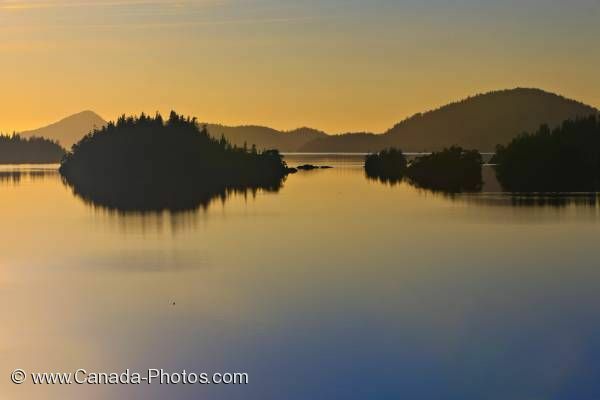 Tofino Inlet at sunset is particularly serene with islands silhouetted by the glow of the sunset and colours reflected off the surface of the water. Islands and reflections on the water surface of Tofino Inlet, a transition area of the Clayoquot Sound UNESCO Biosphere Reserve, Vancouver Island, British Columbia, Canada.